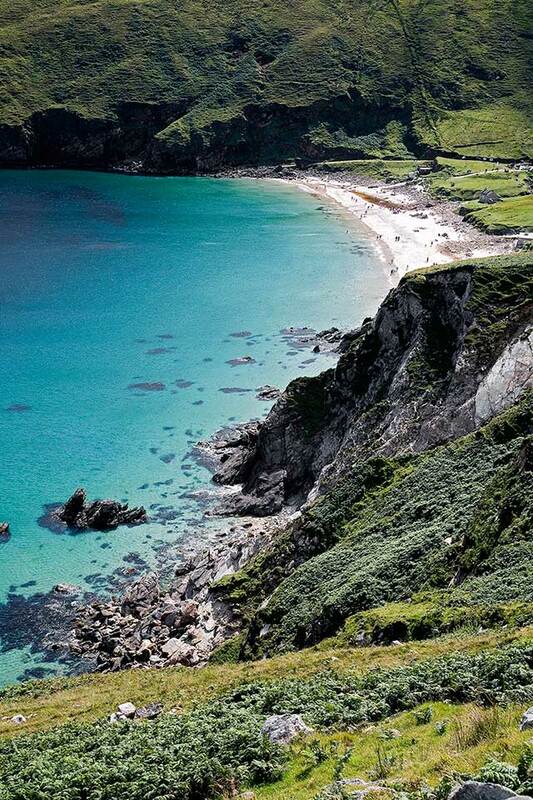 Discover the west of Ireland through the eyes of a poet. 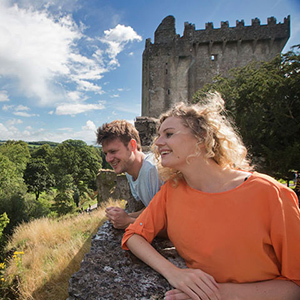 Let the enchanting western landscape of Ireland inspire you, just as it has inspired Ireland's rich culture and heritage. 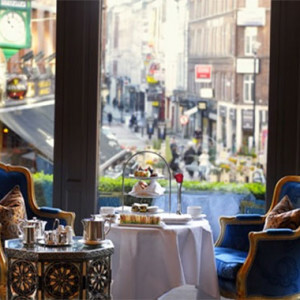 10 nights deluxe hotel accommodations with full breakfast daily. 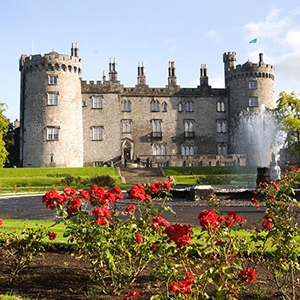 Arrive in Shannon airport and travel along the coast northwards. Get settled in today, and make sure you visit the majestic and mighty Cliffs of Moher overlooking the Atlantic Ocean on the western seaboard of County Clare. 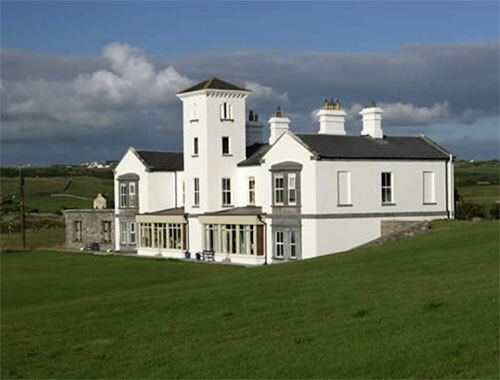 Stay 2 nights at Moy House in Lahinch, County Clare. 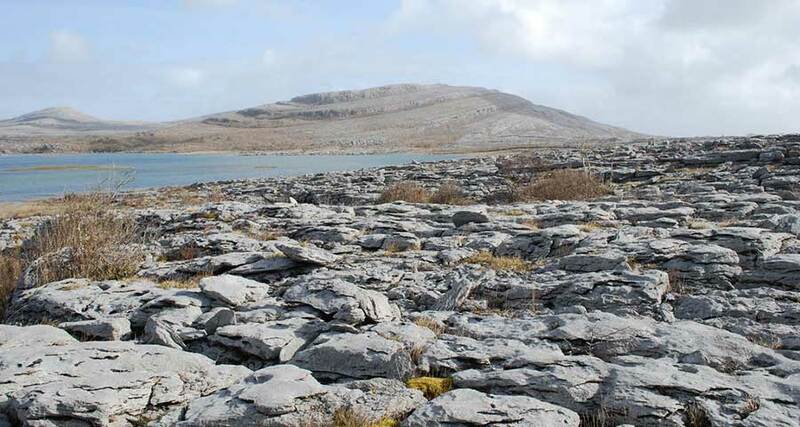 Tour the lunar-like Burren region, famous for its unique flora and fauna, geology, and archaeology. View the Poulnabrone Dolmen, a Neolithic burial site, dating back to 4,000 BC. We recommend a stop at Ailwee Cave to see the underground river and waterfall. 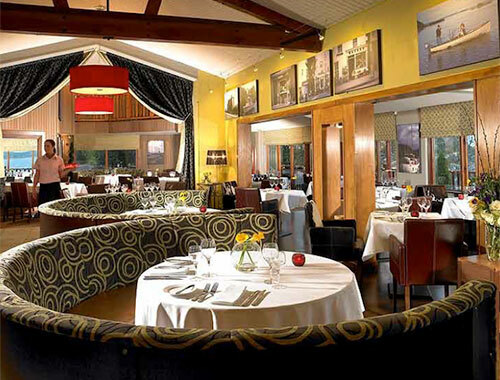 Enjoy local cuisine in the nearby town of Lisdoonvarna. Today drive towards Galway. 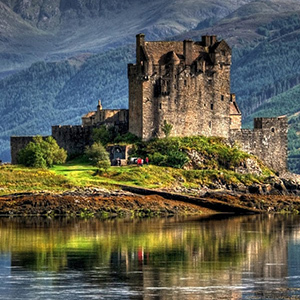 You will see quaint little villages and towns along your way. Do stop at Paddy Burke’s in Clarenbridge, for a glass of Guinness and some fresh oysters. 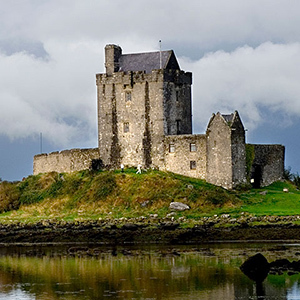 Galway is a vibrant city exploding with charisma, inextricably linked with history, culture and music. 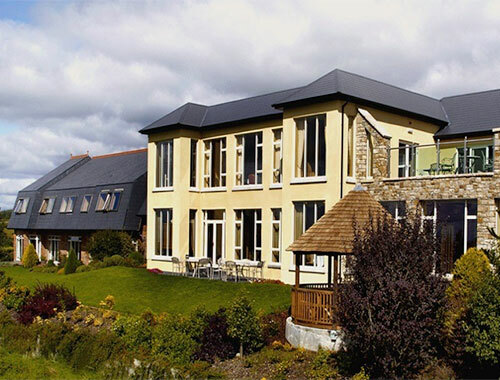 Stay 1 night at the Currarevagh House in Galway. 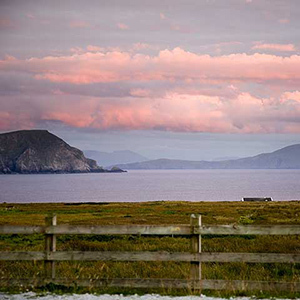 Today, drive into the heart of Connemara, through the rich bogland landscape against the backdrop of the Twelve Bens mountain range. The mountains are not that high and provide excellent walking and climbing opportunities for the outdoor enthusiast. Make sure you visit O’ Dowd’s Pub for a delicious meal while in the area. Tour Kylemore Abbey located in Connemara National Park. Visit the Gothic Church or the six acre walled Victorian garden. 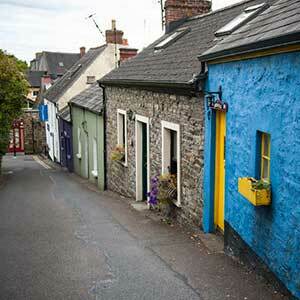 Visit the village of Cong where the movie, ‘The Quiet man’ starring John Wayne and Maureen O’Hara, was filmed! 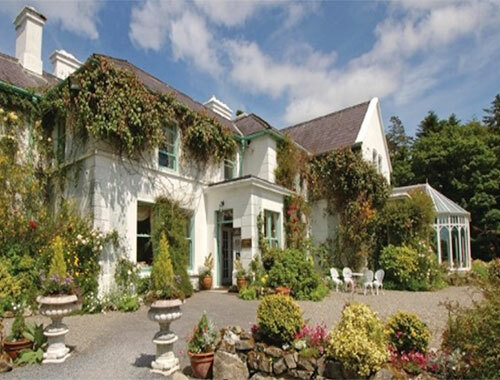 Stay 2 nights in Connemara. 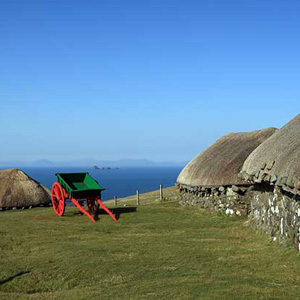 Depart Connemara, and travel along the mountains between Galway and Mayo. Explore the Delphi Valley and Leenane. Immersing yourself in the magnificent scenery, while remembering the tragic famine history of this region, is an unforgettable experience. Another powerful site is Croagh Patrick, the Holiest Mountain in Ireland. Thousands of pilgrims journey to the top of Croagh Patrick each year. 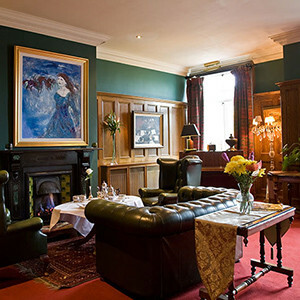 Stay 2 nights at the Ice House Hotel in County Mayo. 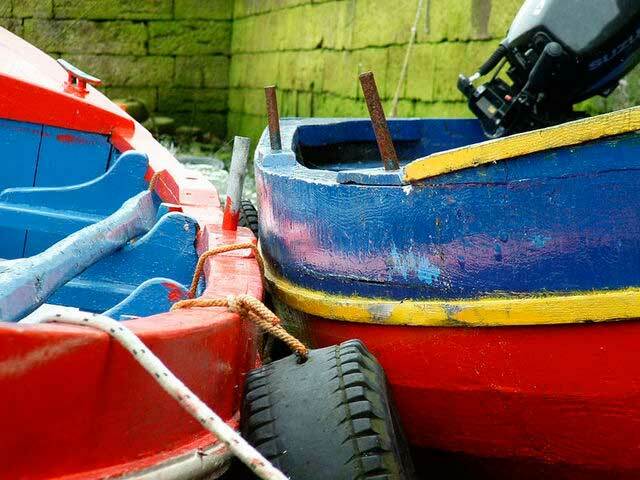 Find your poetic soul and visit one of the islands off the west coast of Ireland. 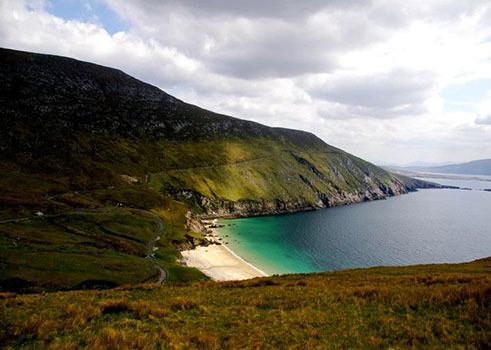 Today you can drive to Achill Island, which has a connecting road with the mainland. 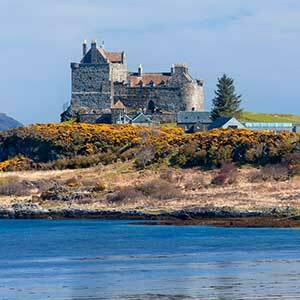 Bring a picnic, and stop for a swim or a paddle on one of the beautiful beaches here. 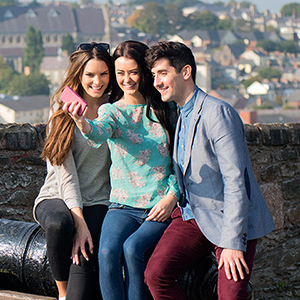 Or, indulge yourself today by relaxing, taking in local sights and sounds. 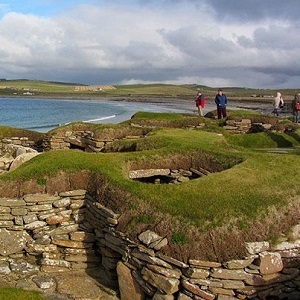 Or you can visit the fascinating Ceide Fields nearby, a vast prehistoric landscape, a natural wild ecology of blanket bog, dramatic cliffs and coastline. Enjoy dinner and some traditional live Irish music at a local pub tonight. 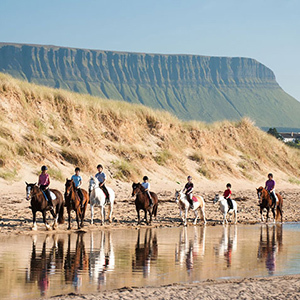 Today drive to County Sligo, known as Yeats Country. Although Yeats was born in Dublin, his family relocated to Sligo when he was a child, and he regarded it as his home. 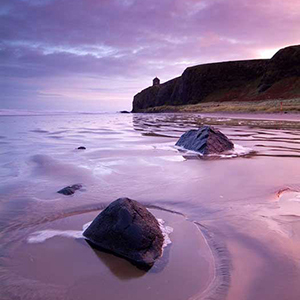 County Sligo was the place in Ireland that had the deepest resonance for him as a writer, and many of his poems were inspired by its landscape. The Sligo mountains, lakes, and lore combined to inspire him to write his most famous verse, ‘The Lake Isle of Innisfree’. Yeats is buried in at Drumcliffe Churchyard in Sligo. Another Sligo site of interest is the cairn at the summit of Knocknarae, known locally as Queen Maeve’s grave. 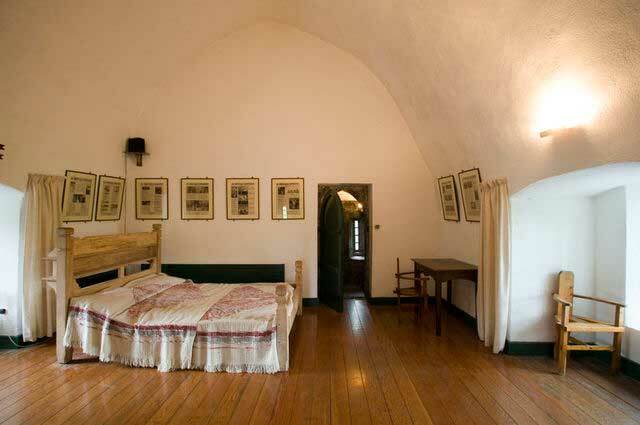 To recover from your climb take a gentle tour of Lissadell House, once home to Countess Markievicz. 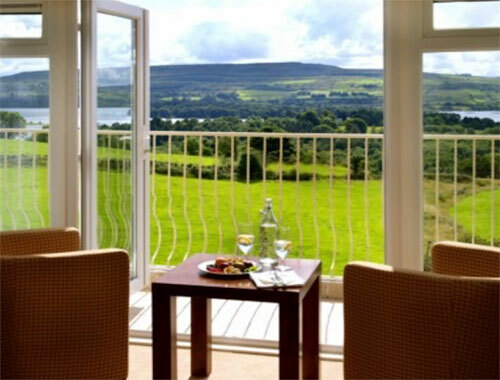 Stay 1 night in Cromleach Lodge in Co. Sligo. 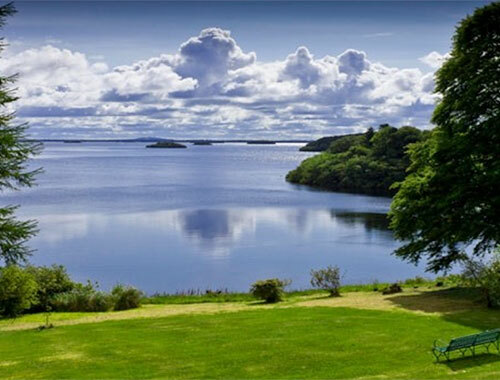 Today you will drive towards Dublin and stop in the heart of the midlands in County Westmeath, where there are hundreds of lakes to explore. 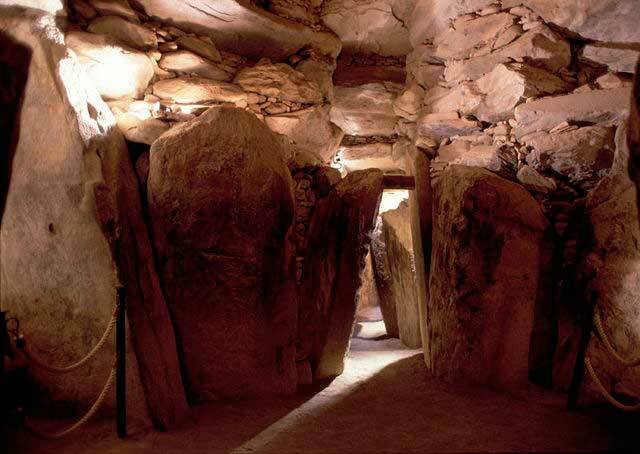 Drive onwards to County Meath and visit Newgrange, a Neolithic passage tomb that is older than the Egyptian pyramids. This historical site will simply amaze you. 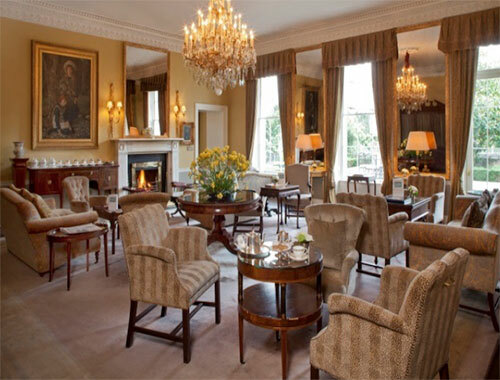 Afterwards drive to Dublin, where you’ll stay for 2 nights in The Merrion Hotel. 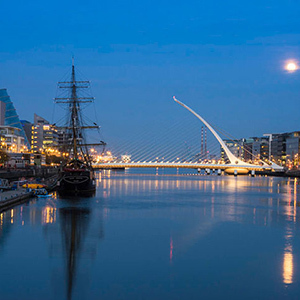 Enjoy all that Dublin has to offer. Tour the famous Guinness Brewery, Dublin Castle, The Book of Kells at Trinity College, the old Georgian square, St. Stephen’s Green, The Ha’penny Bridge, the Temple bar district, and the vibrant shopping area of Grafton Street. We recommend seeing a show at Dublin’s Abbey Theater this evening! W.B. Yeats, George Bernard Shaw and John Millington Synge were among some of the Irish playwrights in the past who established themselves at The Abbey Theater. Today the Abbey still premieres the best of Irish drama, both by writers from the past, and current Irish playwrights. Day 11: Drive to Dublin Airport, return rental car, and fly home. Slan Abhaile! 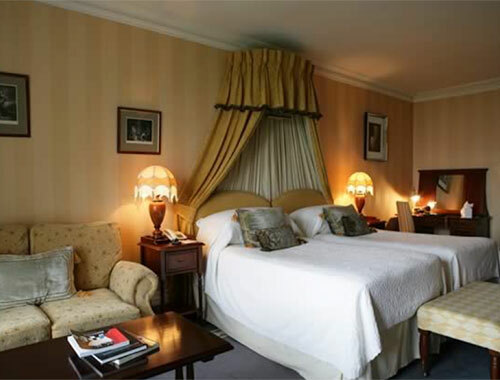 After a hearty Irish breakfast, drive to Dublin Airport from your hotel, and prepare for your return flight home. 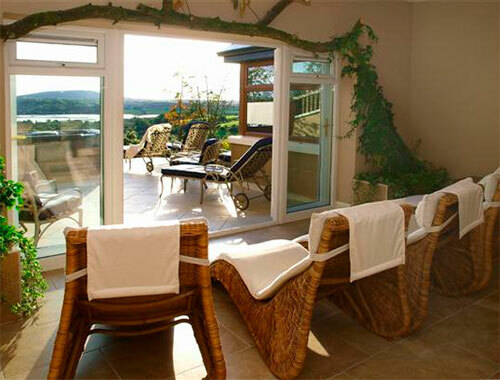 Cromleach Lodge is a modern country house, designed to take full advantage of the stunning views. The subtle individual decor of each room, carefully chosen, creates a warm and relaxing ambience and complements the natural beauty of the landscape. 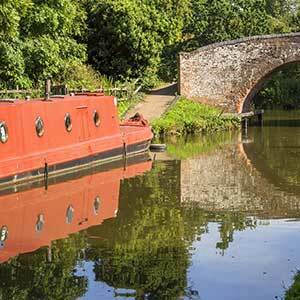 The countryside around Cromleach Lodge is excellent for the walking or cycling enthusiast. Quiet country roads take you through some spectacular unspoiled scenery and to the numerous archaeological sites in the area. Many of the marked walking trails are through fields and woodland. 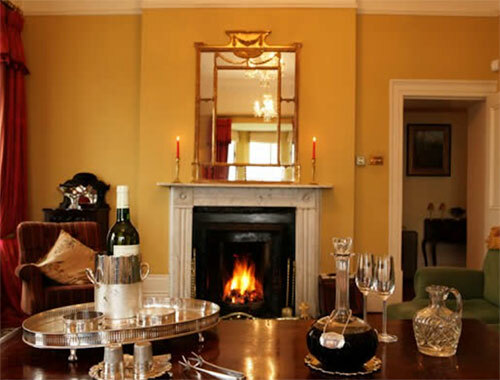 Currarevagh House is a gracious early Victorian Country House Hotel, set in 180 acres of private parkland and woodland bordering on Lough Corrib. We offer an oasis of privacy for guests in an idyllic, undisturbed natural environment, providing exceptional personal service with a high standard of accommodation and old fashioned, traditional character. 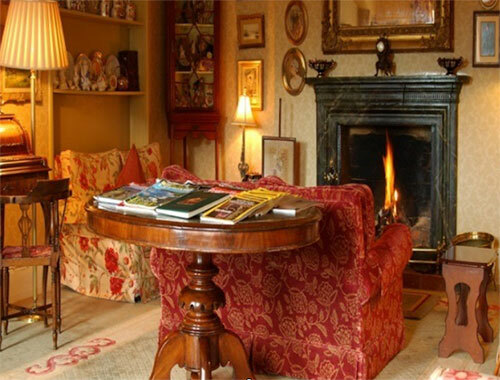 It is the longest running guesthouse in Ireland, with the current owner's great-great-grandfather welcoming guests for the first time in 1880!Dinner at Currarevagh House is not to be missed, as the proprietors take particular pride in the quality of their food. 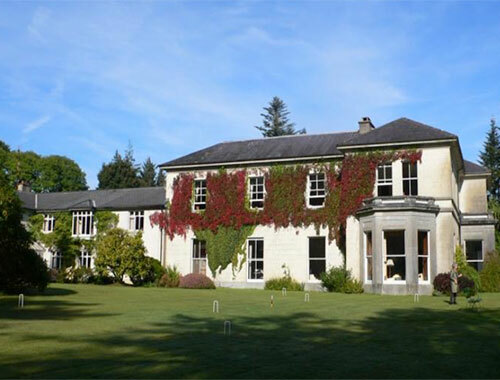 Moy House was originally built in the mid 18th Century as home to Sir Augustine Fitzgerald. In its majestic splendor, the house prevails over the breathtaking Lahinch Bay, set on 15 acres of grounds adorned by mature woodland and a picturesque river. 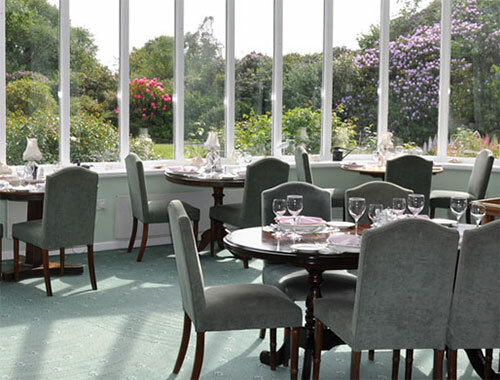 Major restoration has transformed this Country House in keeping with present day expectations of superior standards, yet preserving its unique character, style and ambiance.Enjoy dining at Moy House where you can indulge in the ever-changing view of the ocean from our conservatory candlelit restaurant. 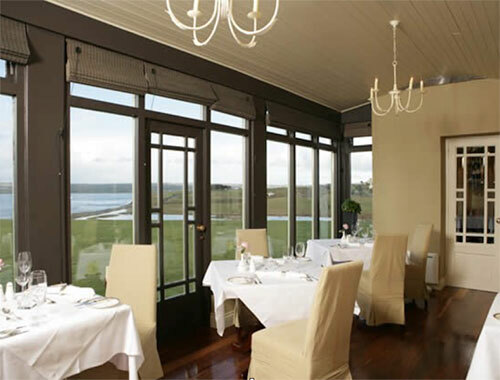 Watch the sun set on the sea as you enjoy fine Irish cooking. 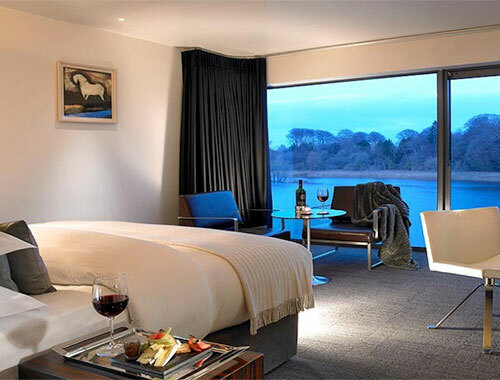 The Ice House is located in a truly iconic building overlooking the spectacular and ever-changing River Moy. A unique setting, The Ice House has 32 ultra-luxurious bedrooms and suites, featuring under-floor heating, goose down duvets and pillows, and L'Occitaine lotions and potions. 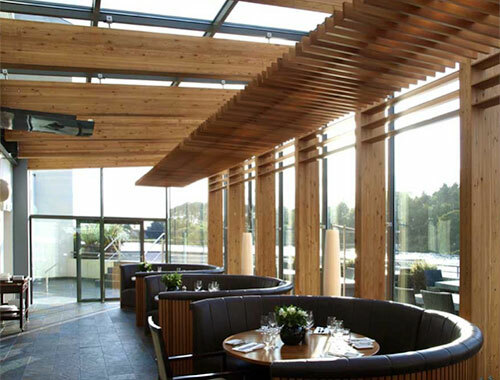 Led by Chef Gavin O'Rourke, Pier Restaurant features modern Irish cuisine with seasonal and fresh local ingredients. Relax and unwind in Chill Spa, with its five treatment suites. 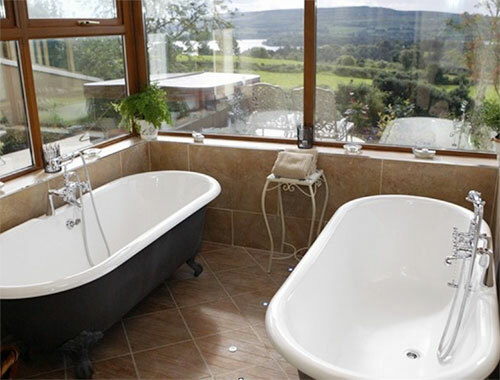 Enjoy the thermal areas, or bubble away in one of the two outdoor hot tubs overlooking the River Moy! 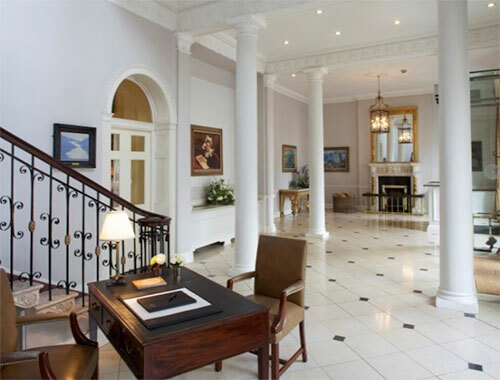 Recognized by Conde Nast Traveler as one of the World's Best Hotels, The Merrion Hotel is elegant and inviting. 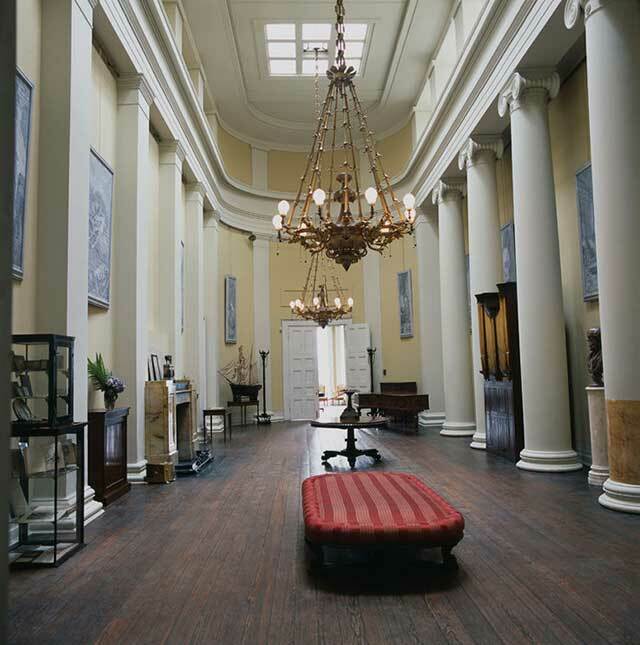 Located in the center of Georgian Dublin, it was created from four Georgian townhouses, and a contemporary wing was built around private gardens. Lord Monck built the four townhouses in the 1760's for wealthy Irish merchants and nobility. 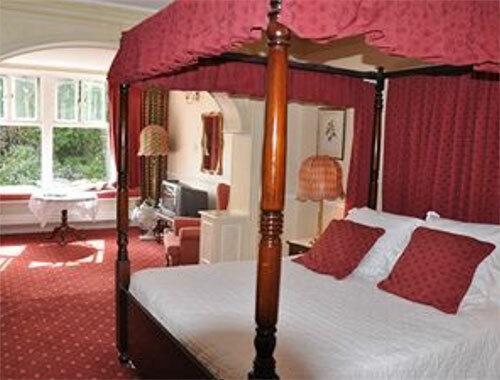 The hotel is remembered historically as being the birthplace of Arthur Wellesley, the 1st Duke of Wellington. 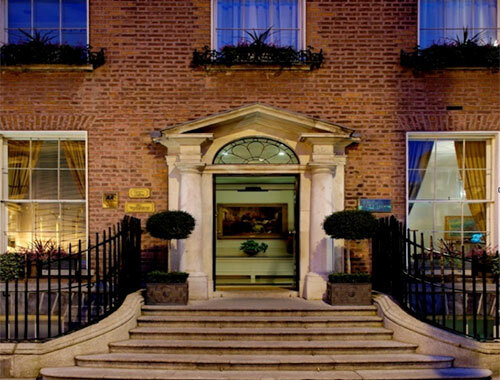 Dublin's "golden mile" of lively pubs & restaurants is just a short walk from the hotel, as is Grafton Street for shopping. 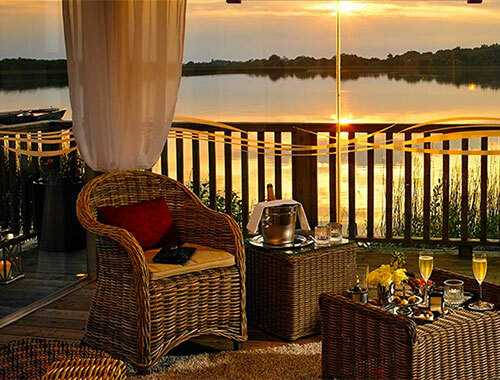 Wineport Lodge is set on the edge of Ireland's peaceful Inland Waterways. 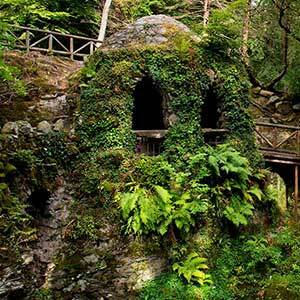 One hour's drive from West Dublin, it is easily accessible from anywhere in Ireland. 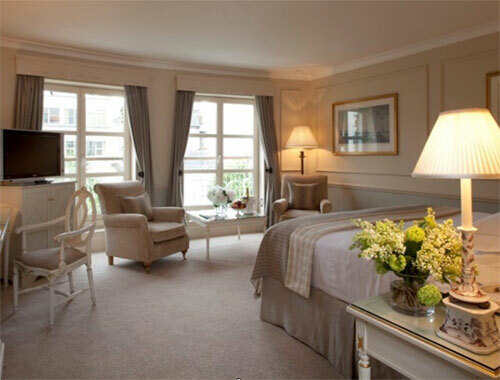 Guest rooms are exquisitely comfortable with goose down duvets & pillows, Italian marble bathrooms with underfloor heating, spacious balconies and luxurious L'Occitaneamenties. 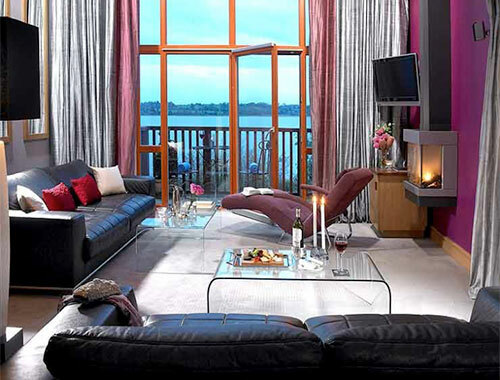 The lively shopping buzz of Athlone Town Centre is within easy reach. 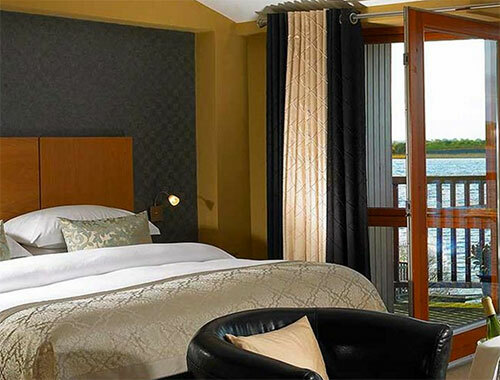 Glasson Golf Club is just a short boat trip from the Jetty, and a stroll around the lake begins outside your door.